Everyone Welcome! Attend Meeting at No Charge! 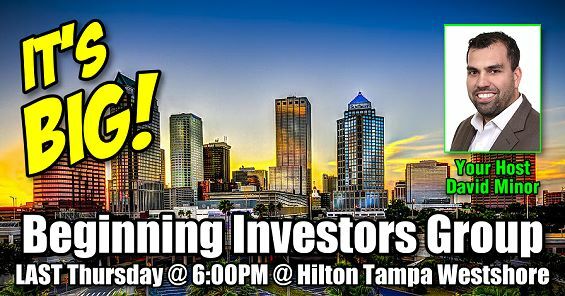 The Beginning Investors Group (BIG), hosted by David Minor and Dustin Griffin, meets on Thursday, October 26th and the LAST THURSDAY of each month from 6:00 PM to 9:00 PM at a Hilton Tampa Airport Westshore located at 2225 N Lois Ave in Tampa. Tampa REIA wants to wish you and yours a very Merry Christmas and Happy Holidays! Come celebrate the Holidays with us on Wednesday, December 13th at 6:30PM at Del Frisco’s Grille located at 4138 W Boy Scout Blvd in Tampa (Westshore) where we’re having our annual Tampa REIA Christmas & Holiday Party! The Christmas Party is being hosted by Dustin Griffin, David Minor, Denise Brown and Tangie Cousins of the Savvy Investor Networking Group. The party is being sponsored by GreenLeaf Title, VESADO and New Western Acquisitions. Tampa REIA Members who RSVP can attend at NO CHARGE. If Tampa REIA Members wish to bring a guest who is a NON-Member, the can RSVP for $30 or pay $50 at the door. *Food and Beverage is included. RSVP Now & Reserve Your Spot! As the economy and real estate market continues to improve, the search for worthy investment deals become more difficult – that is, unless you know where to look! No matter where you live or how the economy is trending, probate estates will always remain. They are a 100% reliable source of properties that will never run out. These are off-market leads available to you! 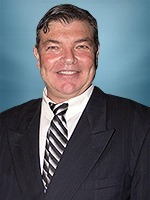 So if you want to learn how to find and to Invest in Probate Estates for Fast Profits, mark your calendar for the Tampa REIA Main Monthly Event on Thursday, December 14th from 5PM at the 3050 North Rocky Point Dr West in Tampa, FL with our special guest, Foster Algier, “The Godfather of Wholesaling”. No matter who you are or how long you’ve been investing, you should RSVP and attend the Tampa REIA Main Meeting on Thursday, December 14th at 6PM and enjoy this rare opportunity to learn more about Probate Investing. We are looking forward to seeing you at the meeting! Flipping houses is one of the quickest and easiest ways to start building wealth especially if you don’t use any of your own money or cred. There is no one better to teach you how to get started in real estate than Don DeRosa. Whether you want to be a full-time investor or are just getting started part-time, let Don show you how to get started in real estate and get paid within 30 days. 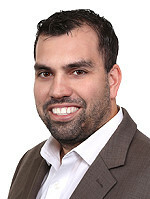 Join Don DeRosa every month from 5PM-6PM at our NEW Meeting-Before-the-Meeting that we like to call the High Tech Home Buying Creative Deal Structuring Subgroup one hour BEFORE the Tampa REIA Main Monthly Event. Don will teach you about the state-of-the-art tools and techniques you’ll use to evaluate deals and figure out how to make them work – so you can work less and spend more time where you want, when you want and with whom you want. Please join us on Tuesday, December 19th at 1:00PM at 4509 W San Rafael St, Tampa, FL for the Tampa REIA Onsite Renovation Group (ORG) to learn all about finding, funding, fixing, and flipping houses for big profits. This month’s meeting will be held at Keith Gaines rehab located at 4509 W San Rafael St, Tampa, FL which is a 2 story home in a popular area of South Tampa and is 80% complete. There are many things to be learned from this rehab. This house has a lot of charm and architectural character and will sell for $850K when complete. 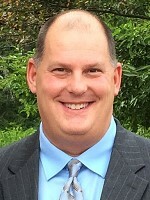 Come meet Keith, see the house and learn from this Onsite case study. This month we meet on Tuesday, November 21st at 1PM at 1127 Pine Ridge Circle East, Unit E2, Tarpon Springs, FL. 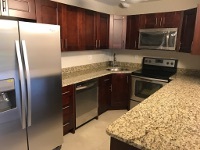 This renovatoin project is a 2 bedroom, 2 bath, 1,110 sq ft condo, built in 1978 which is close to the beaches, Lake Tarpon and wildlife areas. 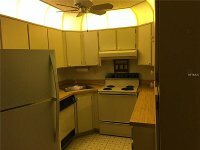 This unit is being renovated by Ralph Mungo who specializes in condo complexes and sells his renovations fast. 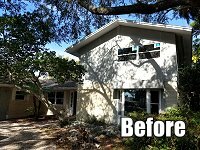 Please join us on Wednesday, November 21st at 1:00PM for the Tampa REIA Onsite Renovation Group (ORG) to see how Ralph has transformed this old condo into something new! Everyone Welcome to Attend This Month at NO CHARGE! Vendors & Biz Members Are Welcome to Attend! Savvy Investor Networking (SIN) is a brand new Tampa REIA Networking Subgroup that meets for the very first time on Wednesday, November 8th (2nd Wednesday) from 6:30PM to 9:30PM at Del Frisco’s Grille located at 4138 W Boy Scout Blvd in Tampa (Westshore) near the airport. SIN is hosted by Dustin Griffin, David Minor, Denise Brown and Tangie Cousins. 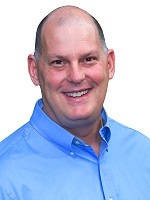 SPECIAL BONUS FOR NEW INVESTORS: Don DeRosa will be at the Savvy Investor Networking meeting for anyone that wants to sit and talk with him about coaching and the the NEW Property Protege Group (PPG Tampa) which is starting soon. PPG is a private, exclusive, annual group coaching program that is designed to complement your existing and ongoing training and give you hands-on experience to advance your goals in building wealth through real estate investing. The group offers countless investor resources and gives you and access to other like-minded investors and mentors to help you succeed. PLUS Get a Full Day Pre-Recorded Technology Workshop for Real Estate Investors as a SPECIAL BONUS for Attending the Live 2 Day Training! Register today for Don DeRosa’s 2 Day Jump-Start Your Real Estate Investing Business on Saturday & Sunday, November 11th & 12th at 9:00 AM held at at David Minor’s Vesado Office located at 2203 N Lois Ave, 12th Floor, Suite 1210 in Tampa, FL to learn how to quickly and affordably jump-start your ugly house and pretty house real estate investing business. 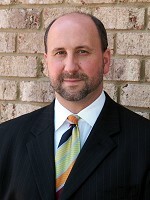 Don DeRosa is a real estate investor, author, teacher, coach and national speaker. 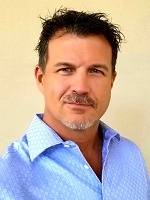 He has trained thousands of new and experienced investors to build wealth in real estate using the same techniques that helped him build his fortune, particularly buying with owner financing, using private money, creatively structuring deals and selling quickly in any market. Wholesaling houses is one of the quickest ways to start cashing checks in real estate without using any of your own money or credit. All this and answers to your questions and much more! Another easy way to get started in real estate investing is by taking over existing debt. Don will teach you the six simple steps to make you a creative real estate investor and “transaction engineer”. *PLEASE NOTE: The 2-for-1 Early Registration Special is for Tampa REIA Members Only. After the early registration period expires, the 2-for-1 special will end and the cost of tuition will increase. Non-Members who Join Tampa REIA between November 1st through November 10th, 2017 can attend the 2 day workshop at NO CHARGE as new members and can bring a guest. Also, Tampa REIA Members who renew their membership for an additional year between November 1st through November 10th, 2017 can attend the workshop for NO CHARGE and bring a guest as well. When Joining Tampa REIA or renewing your membership, please indicate that you want to attend the workshop at no charge. You can Join Tampa REIA at http://membership.tampareia.com. When it comes to technology, most people only use their smartphones and tablets to talk, text, play games, and watch videos. But did you know that you can also use your mobile devices to successfully operate and automate most of your real estate investing business, so you can work less and earn much more? Imagine this… You’ve found a deal… You’re at the seller’s house and everything seems to look good… but you suspect the sellers might have an appointment with your competition later. 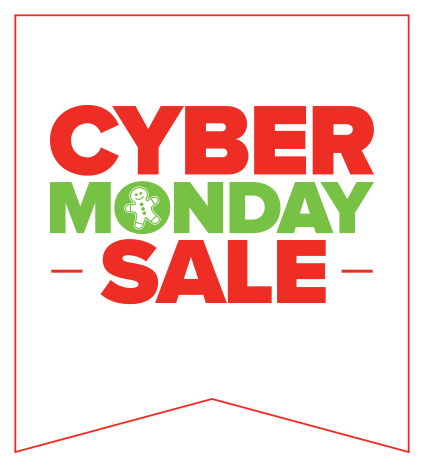 You need to lock this deal down NOW so you don’t lose it. NO problem! You smile as you pull out your tablet, tap a few apps, run a few numbers and… BAM, you’re making a deal happen! In just a few moments, you’ve pulled comps, estimated the repairs, made your offer to the seller, gotten them to sign the contract, then submitted that contract to your title company, your attorney, and the seller… ALL BEFORE your competition ever leaves their house!